Vapor phase Granular Activated Charcoal (GAC) is a treatment technology that removes contaminants from air. Contaminated air is passed through one or more vessels containing GAC. Contaminants stay onto the surfaces of the activated carbon grains. The thermal processing of carbon, often from coconut shells, creates small porous particles with a large internal surface area. This processing activates the carbon. 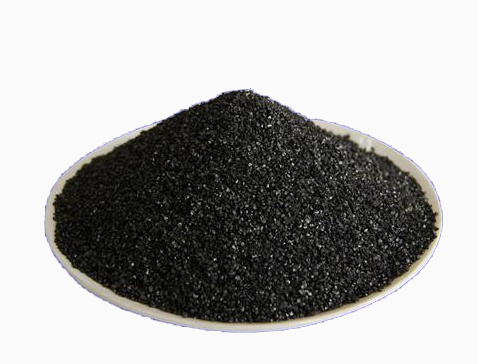 The activated carbon attracts and adsorbs organic molecules as well as certain metal and inorganic molecules. When the concentration of contaminants in the vapor exceeds a certain level, the carbon must be replaced. Some degradation products such as vinyl chloride and smaller molecules are not sorbed well, and consequently must be monitored carefully. All spent carbon eventually needs to be disposed in landfills or regenerated. There are few regeneration facilities. The carbon used for some contaminants (g.,metals) can not be regenerated. Some compounds, such as ketones, may cause carbon bed fires because they release heat upon adsorption. This technology is used to treat off-gas contaminats with VOCs and some fuels.